China’s Haotong Li ran out of gas at the World Golf Championships-Dell Technologies Match Play as he lost 6 and 5 to last year’s runner-up Kevin Kisner of the United States in the Round of 16 on Saturday morning. 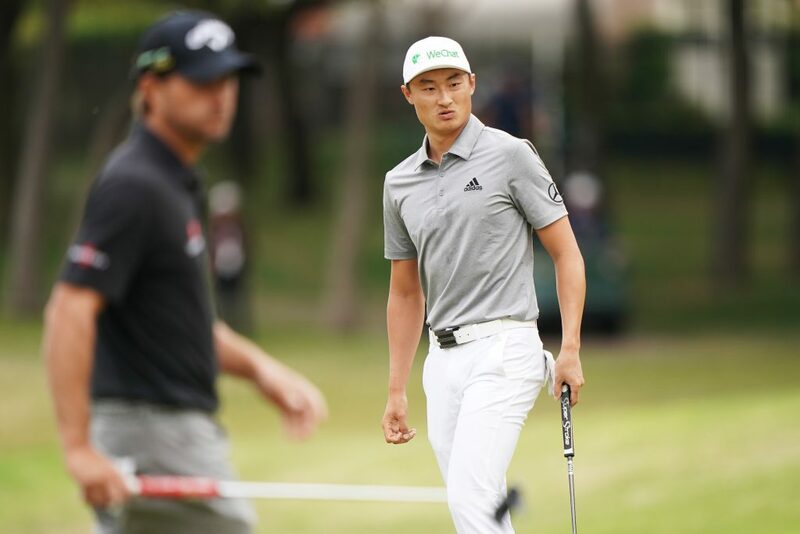 The 23-year-old’s brave run at Austin Country Club ended in a disappointing note as Kisner made light work of Li, who was his own worst enemy. Kisner was 3-up after an eight-foot birdie putt at the first and pars on the next two holes. Another Kisner birdie at the fifth from nine feet extended the lead. Li, reaching the Round of 16 for the first time in his second Match Play start, bogeyed three of his last six holes and hit just four of 10 fairways while Kisner hit 9 of 10 as the match ended on the 13th green. Li conceded he was running on fumes after beating Ryder Cup star Alex Noren and World No. 3 Brooks Koepka in the group matches, before playing 19 holes on Friday following his 1-up loss to Tom Lewis which required Li to play in a sudden-death playoff against Noren which he prevailed after one hole to get through to the Round of 16. The Chinese rising star, who is hoping to become the first golfer from his country to play in the Presidents Cup in Melbourne, Australia in December, is looking forward to returning to Austin for another crack at the WGC-Dell Technologies Match Play. “It’s a lot going on. You need to go through it and focus. It’s hard to focus. Just need to do a better job next time,” he said. Li will remain on the PGA TOUR for next week’s Valero Texas Open before heading to the Masters Tournament, the year’ first major as he continues his pursuit for a PGA TOUR card through the FedExCup points list for non-members.